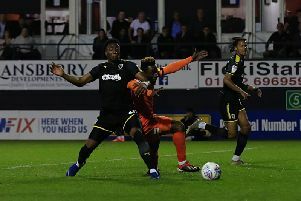 Luton boss Nathan Jones remains hopeful that both transfer listed players Jonathan Smith and Josh McQuoid can find new clubs before the season starts next month. The pair were transfer listed by Town’s chief last month, although neither have yet moved on the pastures new. On the duo, who both have a year to run on their contract, Jones said: “It’s a difficult one as Smudge has interest, it’s just what Jonathan Smith wants to do and his own ambitions.